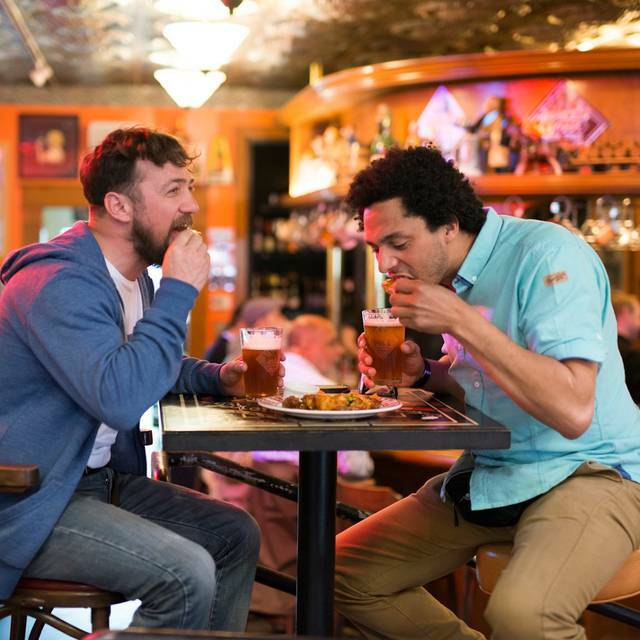 Locally sourced & seasonal gastropub fare in Seattle's iconic shrine to beer. 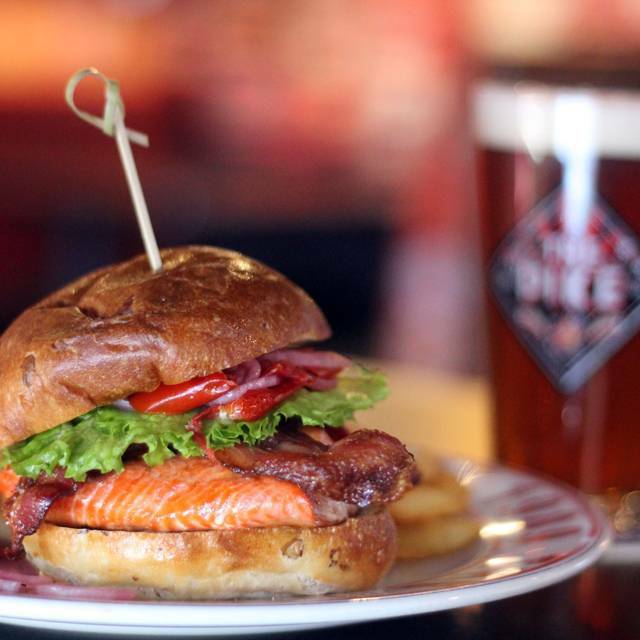 This family friendly pub features hand-formed burgers, unique pizzas, fresh salads and Dungeness crab chowder, all carefully prepared and reflective of Northwest tastes. 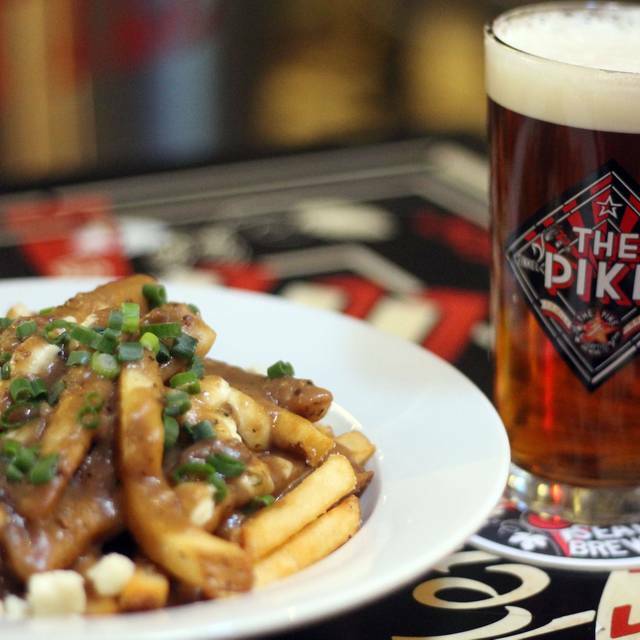 Your friendly and knowledgeable server can recommend Pike Brewing beers, locally made wines, ciders and spirits or soft drinks to pair with your meal. It’s all served amidst Pike Brewing’s extensive collection of beer memorabilia and in full view of our brewing kettle. 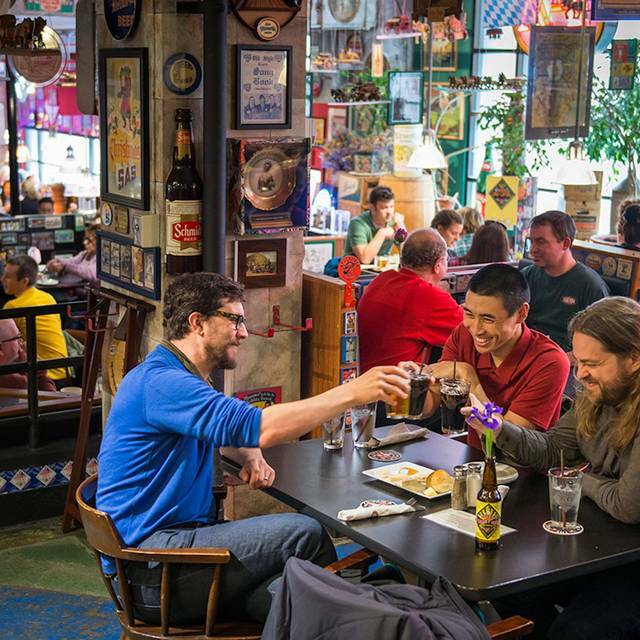 Take a brewery tour and visit the Microbrewery Museum. 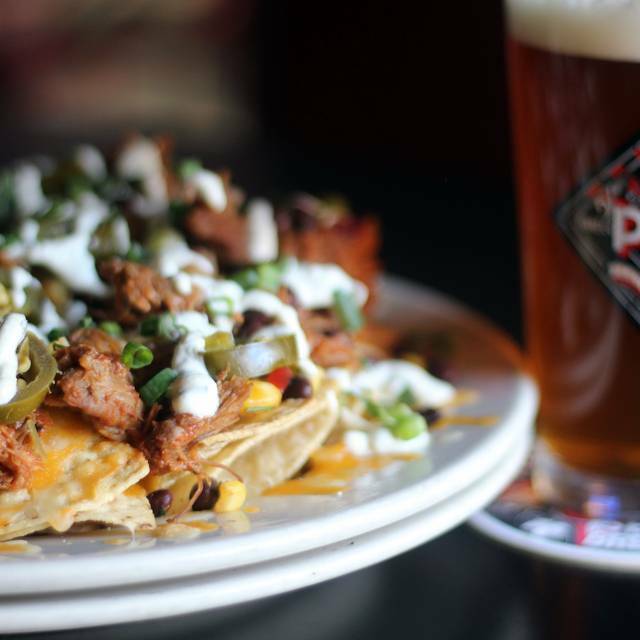 Hoppy Hour, late night dining and plenty of vegetarian, vegan and gluten-free options. Brew Pub with extensive menu. My brother-in-law, who was with us, was disappointed that the Pub no longer offered the Fish and Chips on their menu. Loved the smoked salmon salad. Had a great $10 local red blend glass of wine. Waiter was very attentive and enthusiastic. Great beer too! The ambiance was great. It was very original. Overall, we thought the food was meh. We picked the restaurant based on some “local” options we found in the online menu, but we didn’t see those on the menu at the restaurant. Cool atmosphere, good beer and food but our server wasn’t interested in serving. She gave one word explanations of beer options and wasn’t interested in helping us find the right beer for us....though it’s a brewery. That was disappointing. The food was good, nothing special. We selected the place because it's close to the Showbox. We had a large group and the brewery handles large tables well. That said, the food was not good. It's hard to understand how you can screw up burgers and sandwiches. The salmon sandwich came out with not a drop of dressing or Mayo. The fries were overcooked, dry and flavorless. The service was okay. Appetizers for brought to the table with no side plates. Dirty plates were not removed between courses. I understand that it's casual dining but I do expect the basics. 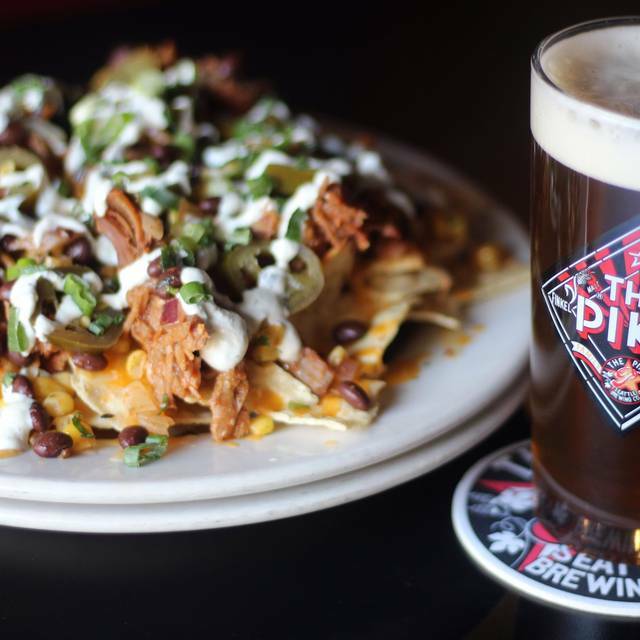 Delicious food & beer. They accommodated our large party well. A staple of the Seattle beer scene. The food is consistently great. 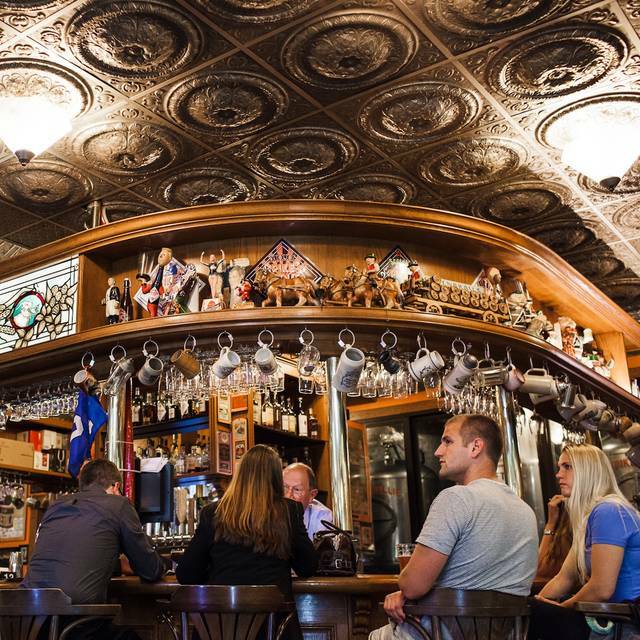 The decor is a bit over the top but take a closer look and see that the pub is really a beer museum! Waited almost 10 mins to get water or see our server. Food was mediocre. The beer was good though. Go for beer... get food elsewhere! Do not go to watch a big game unless you want to have people standing in front of the service bar blocking your view. $55 for two bowls of soup and smaller than expected app and one flight didn’t even get us through the first quarter. Food and beer were delicious. The service was friendly and prompt. The ambiance was great! Love the multiple levels and décor. Nice beer and nice food. Good for group. Beer drink comparison is fun! The food was great but man it was hard to carry on a conversation. Super loud and we say several folks leave before even having to order. But the food was super good. Good food and ambience. Cocktails were mediocre but their beer selection is awesome. Bit too noisy but very vibrant and energetic. Good food, fun atmosphere and fantastic service from our waiter, Rob! We were visiting from out of town and we had a wonderful experience. The pretzel platter was amazing and a good start to our meal. The server was knowledgeable I'm the beer options and recommended a few for us to try. My boyfriend had the Mac and cheese and said it was really good. I had the wings and loved them. They were spicy so if you don't like spice I wouldn't get them. Overall we had a wonderful experience. Great evening with a lovely meal and beer. The stuffed Salmon especially was lovely. Came here twice during our Seattle visit -- once for dinner and another time as part of our Booze & Bites tour. If you're a beer connoisseur & especially love looking at beer-related paraphernalia, this is the place for you! The salmon "SLT" was great & the pumpkin beer was awesome, too! Fun, cool spot. I have been here a few times and have always loved the food, the selection of drinks, and the service. They we're able to accommodate my group of 11 eleven people and everyone had a great time. Great food, great service. We made our reservation online last minute on a busy Saturday night for 6 people and 2 high chairs, and they were able to accommodate us with a minimum delay (3 minutes, maybe.) Food is good, beer is excellent. Amazing service for our large group of 17. Our server was accommodating, the atmosphere was fun and the food and beer were on point! Visited on Vacation with our older teens/young twenty- somethings. Everyone enjoyed their meal but it was priced for tourists. Lively place with great beer. I ordered the brats which came with amazing apple sauerkraut. Normally sauerkraut i can take or leave but it was great. Brats were decent - mustard sauce that came with it was really good with a lot of zest. Kilt Lifter scottish ale was really enjoyable - some scotch ales have a lot of bite, this was pretty mellow , a bit more "bready". Prices seemed to be within the norms. Great location to market and to Showbox theater where we were seeing a show. Taking reservations is a big plus given summer crowds in the area. Food was good but small portions for the price. Otherwise, drinks, service and ambiance were great. 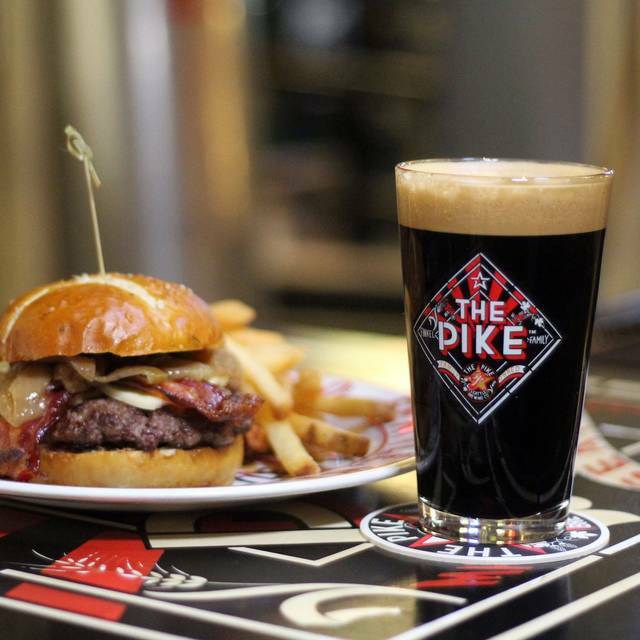 Brilliant crab chowder, great burgers and amazing beer- what more could you ask for?! Creative atmosphere. Very friendly service. Good beer. Very mediocre menu choices & food quality. Rob our server was awesome! Fish tacos were good. Salad ok. Pretzel app was good but not amazing. Service was rather slow and friendly enough. No A/C (old building) and it was a hot evening so it was uncomfortable. We walked in and immediately assumed that we were going to get a “Friday’s restaurant” type experience - kitschy restaurant with lower quality food. We were wrong. Kitschy restaurant? Yes. Food quality? Really good. Everything from the burgers to the kids cheese pizza to the salmon on a bed of mixed greens was delicious. 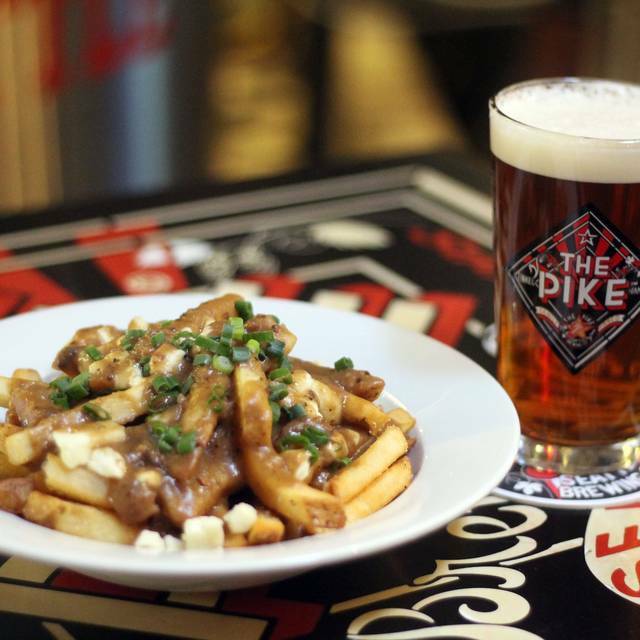 And, we were totally impressed that The Pike Pub makes their own catsup (or now has it made for them) and that they are a no GMO, no high fructose corn syrup restaurant. Our kids were happy and the adults were happy which is sometimes a hard combination! The service was excellent and our server was very knowledgeable as well as very accommodating to special requests. Definitely recommended for family dining. Awesome place! We were there from Oklahoma for special olympics and had a large group of 30 and were having trouble finding a place to accommodate our big group. The owner Charlie, who is also from Oklahoma, found out we were there and came out to greet us and gave us a tour. Awesome food, drinks, atmosphere and the service was outstanding! LOVE LOVE LOVE this place & will be back for sure if we are ever here again. We had a large group (10) and had reservations. We were seated quickly and our waiter served us quickly. Food was good. Server was very attentive. Noise level was pretty high and energetic. All in all a great evening. Good for. A bit noisy and hard to hear each other. Great value. The service staff was great, and we loved the chowder. We had a couple party members who decided to experience the Lime Bike thing and got lost. Our server Leslie was on it though. The rest of the staff was great too. Food was yummy amd of course great beers! I'm a PNW girl and Naught Nellie is one of my all-time fave beers. Just wanted to check out the local beer while in Seattle with my son. It was great!